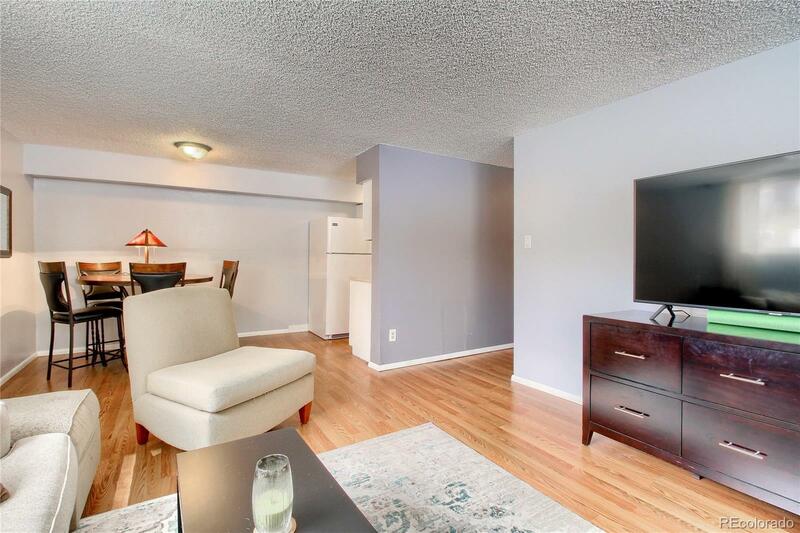 Rare updated 2 bed, 2 bath condo featuring tons of natural light. As an end unit on the garden level, enjoy the ease of come and go access to your detached carport. Nestled in the heart of the DTC, access light rail, major roads and freeways in seconds!! New wood laminate flooring, windows and interior paint throughout. Electric upgraded in 2016. Low HOA that covers heat, water, air conditioning, sewer and snow removal! *Great investment opportunity or starter home for those looking to build equity fast!